The conclusion to Paul Cornell's latest Doctor Who epic is something of a headache to navigate. Despite this, it's an enjoyable Gordian knot most Whovians will enjoy unraveling. 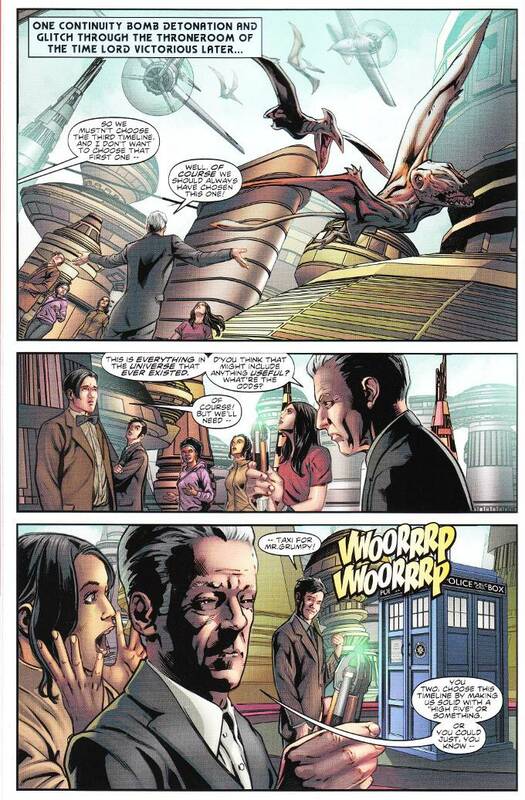 And Ninth Doctor fans can rejoice, for while their favorite Doctor doesn't quite take part in the action, Cornell reveals a fantastic reason for why he and Rose Tyler didn't show up in this adventure. The artwork continues to impress, though Neil Edwards does seem rushed at times in this final chapter. There are some points where the inks are too heavy and the details a little indistinct - though this critic suspects the latter may be due to a printing error in his copy of the issue. Regardless, there is more good than bad in this issue's visuals and it proves a wonderful conclusion to a great story. 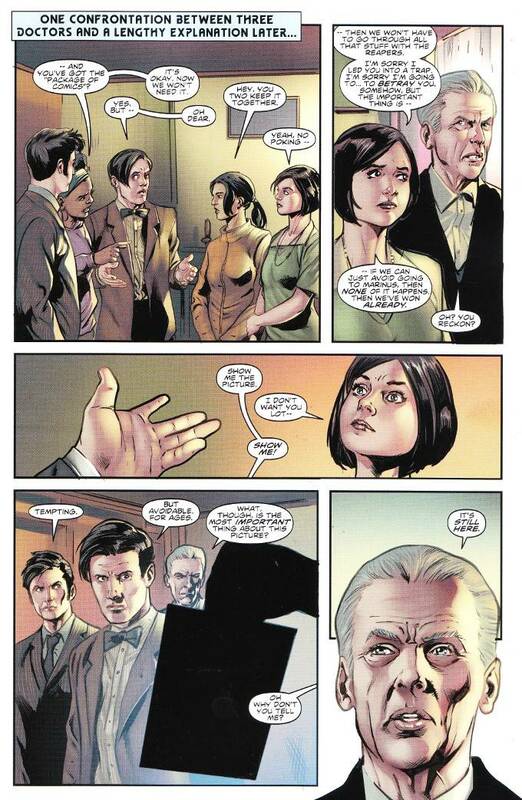 The Four Doctors is a must-read for all Doctor Who fans!